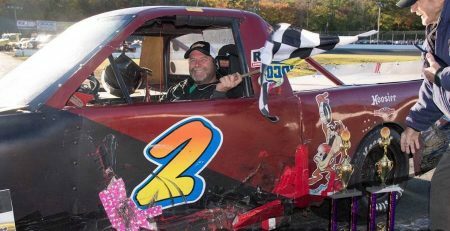 WATERFORD — Shawn Gaedeke started the 2018 New London-Waterford Speedbowl season off the radar screen. And that’s the way he planned it. Gaedeke certainly fit that description in 2018. 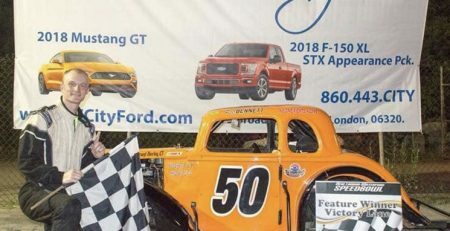 In only his second Sportsman season, Gaedeke grabbed three wins, spent almost the entire season finishing in the Top 4 or better and grabbed his first ever Sportsman championship. His winning margin was 28 points over Jason Chicolas. 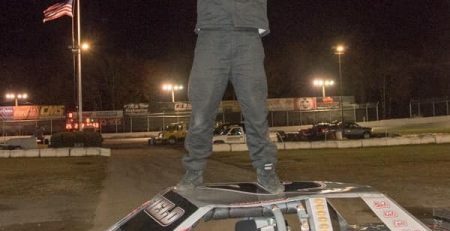 Gaedeke will be receiving his championship accolades ‪on Saturday, Feb. 9‬ at the “Stars of the Speedbowl” banquet at the Mystic Marriott. 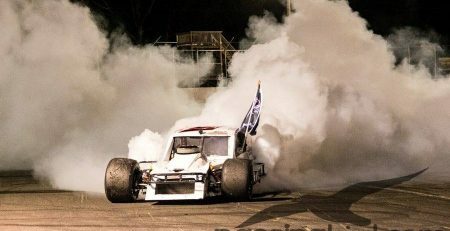 Ticket forms are available on the Speedbowl web site at ‪www.speedbowlct.com‬. At the start of the year, Gaedeke never expected to be making a speech on championship night. 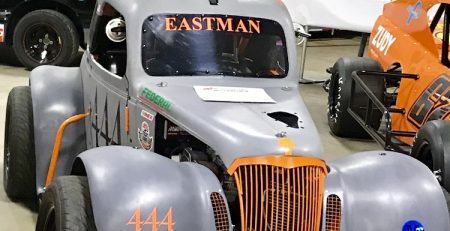 It all started ‪on June 9‬ when Gaedeke dominated the fields to grab his first career win in the Sportsman division. 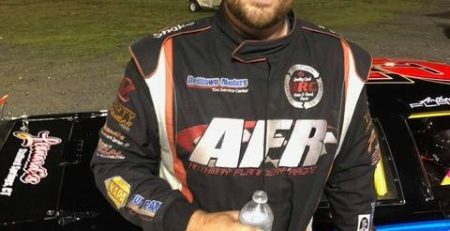 Earlier in his career, he was a race winner in the Super X cars. The win was a preview of what was ahead. He became the driver to beat. He also had a driving coach, Chris Meyer, the 2018 Sportsmen champion, who came up with a pretty good game plan for the rest of the season. As a result, Gaedeke became even more surprised as the season went on. Gaedeke had such a big lead all he needed to do was take the green flag in the season’s final race to salt away the championship. He finished 16th in the finale, but it didn’t matter — Gaedeke clinched the title. 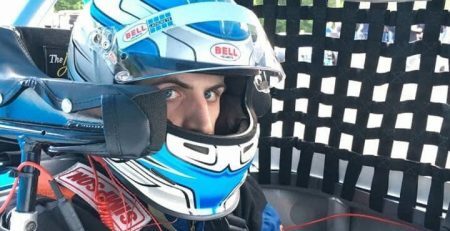 Gaedeke credited Don Spence Jr. and his wife for their help, along with TLB Motorsports, which put the horsepower in the car. Woodbury Brewing and Critical Signs were key sponsors and Meyer was Gaedeke’s tutor who taught him how to run for a championship. His crew includes his girlfriend Alyssa, Kyle Gaedeke, Brian Watson, uncle Bill Reiman and his aunt Kim. Gaedeke already has started making his plans for next year. “My goal is to defend my championship,” Gaedeke said. “I’m looking for a few more wins and a good season. But my biggest goal is to put on a show every week. I want people to recognize us as a winning team that likes to entertain. Those friends wound up being overjoyed in 2018.